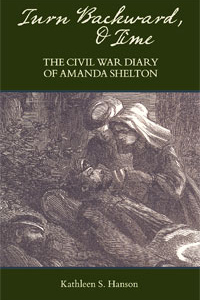 Amanda Shelton is one of those blurred female figures in the “photograph” of the Civil War. Unlike Clara Barton or Mary Ann Bickerdyke, hers is not a name recognized by school children or even most scholars as they talk about the work of women in that most terrible of wars. Yet, she and a small band of women who comprised the nurses of the Special Diet Kitchens made a unique contribution to the war effort. Their work laid the foundation for the value of individualizing care that remains to this day a core concept in the delivery of health care, particularly nursing care. "[Shelton’s] words are deeply informative, intriguing, and important to a comprehensive understanding of the Civil War’s many dimensions."